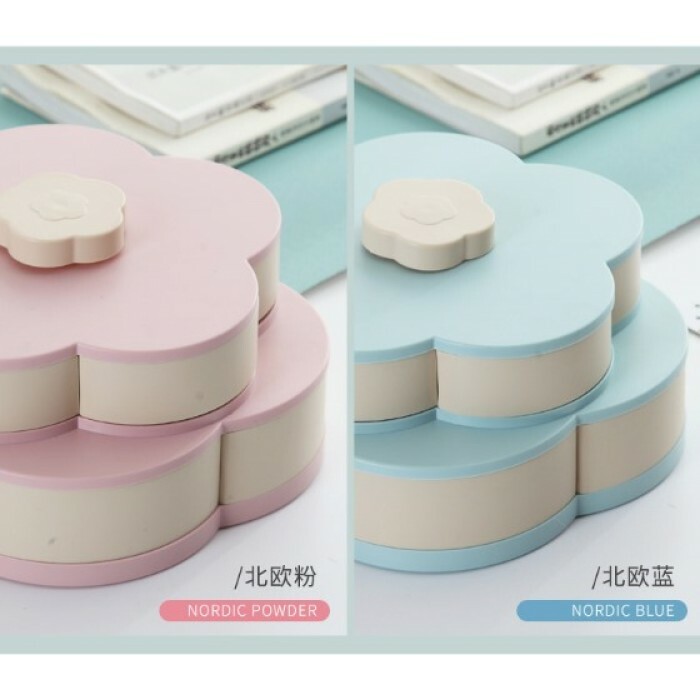 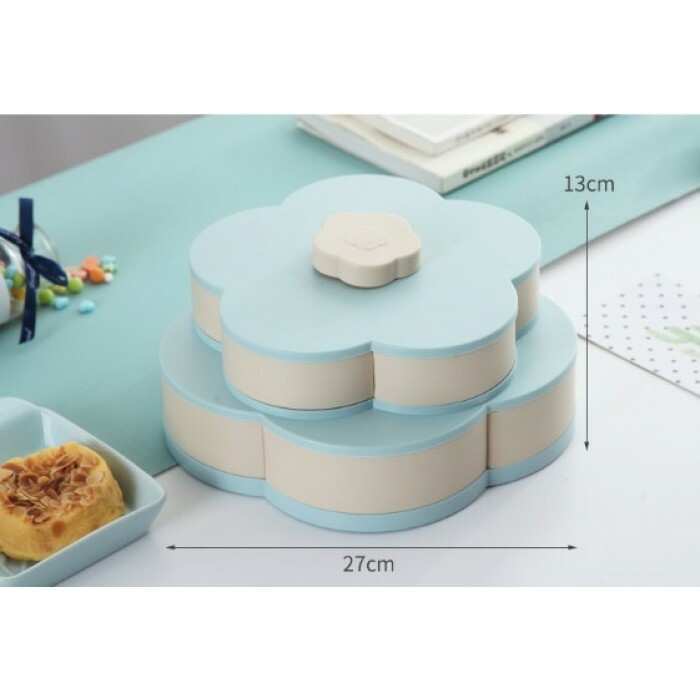 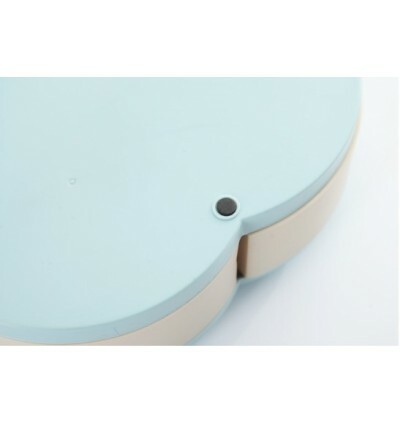 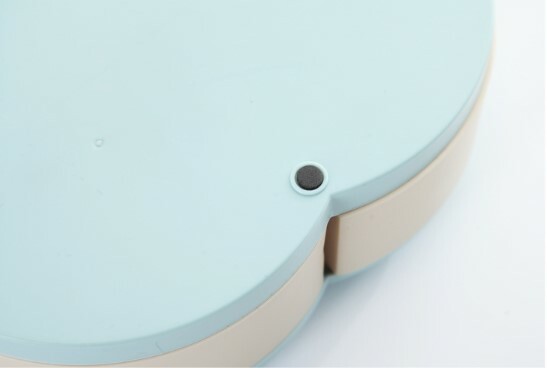 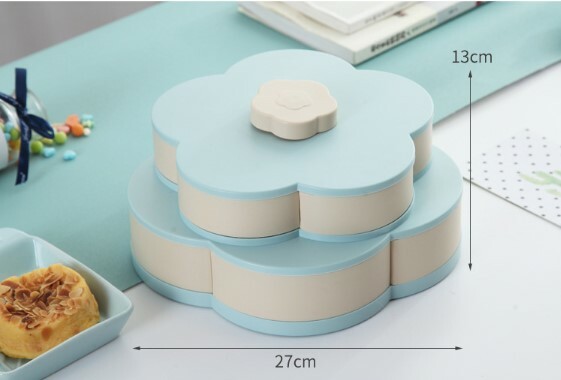 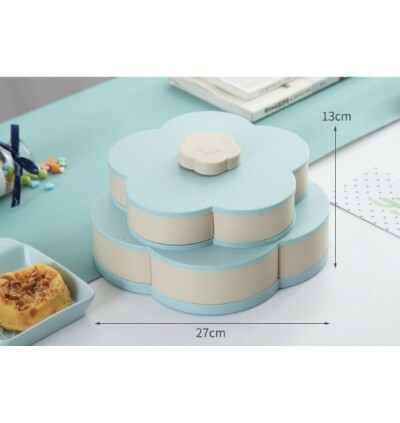 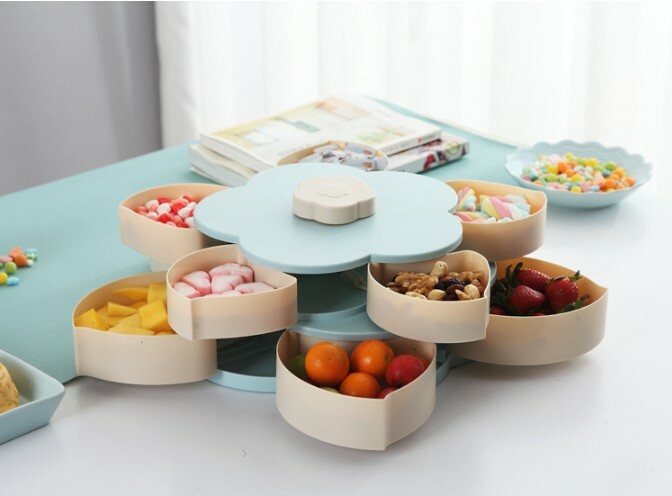 Made of ABS plastic, lightweigh and durable. 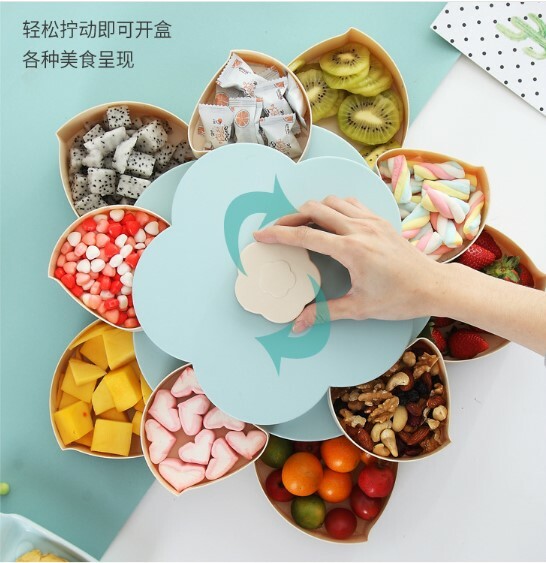 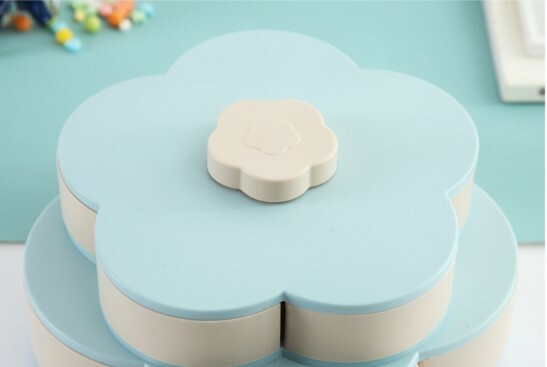 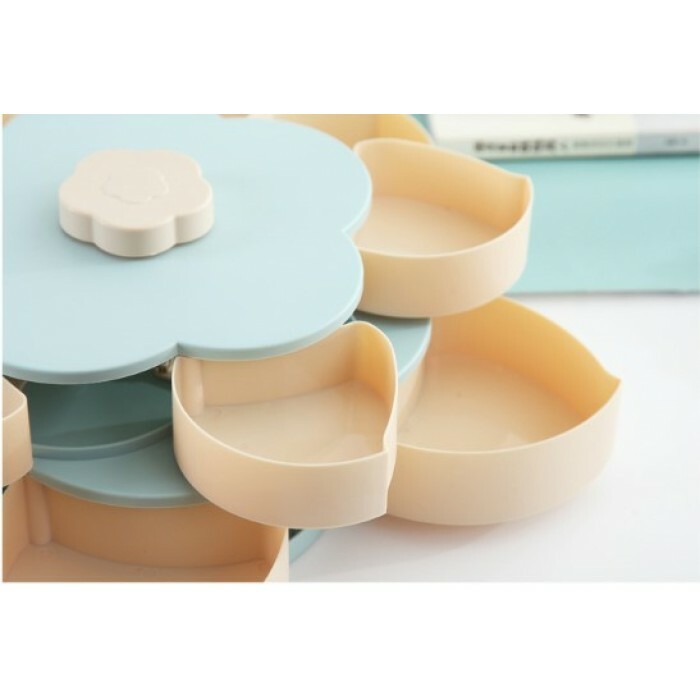 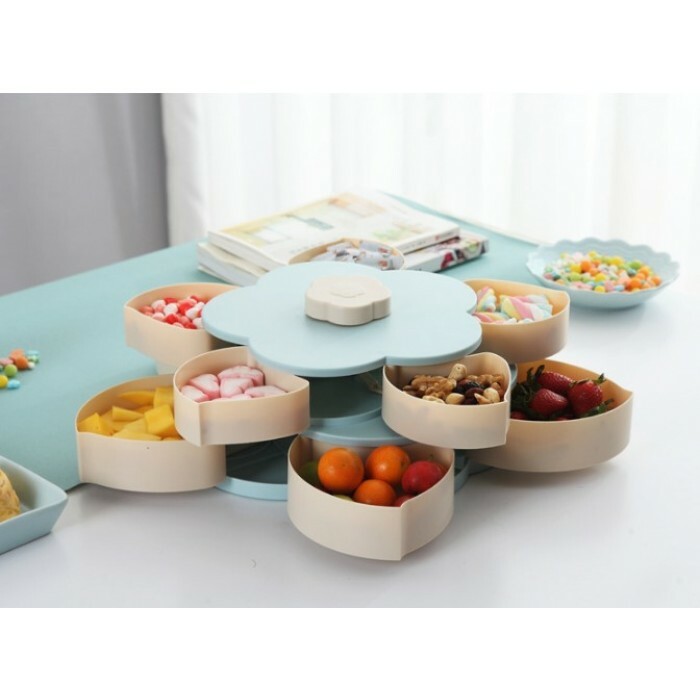 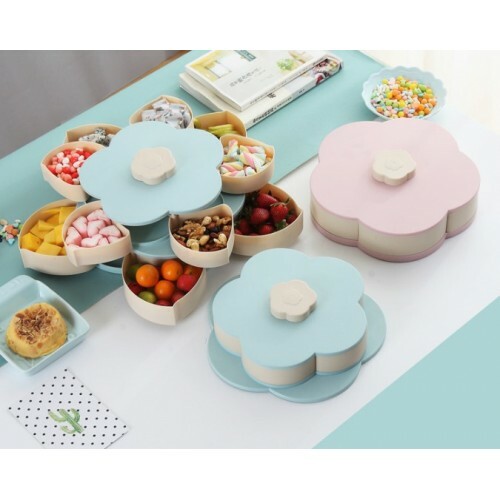 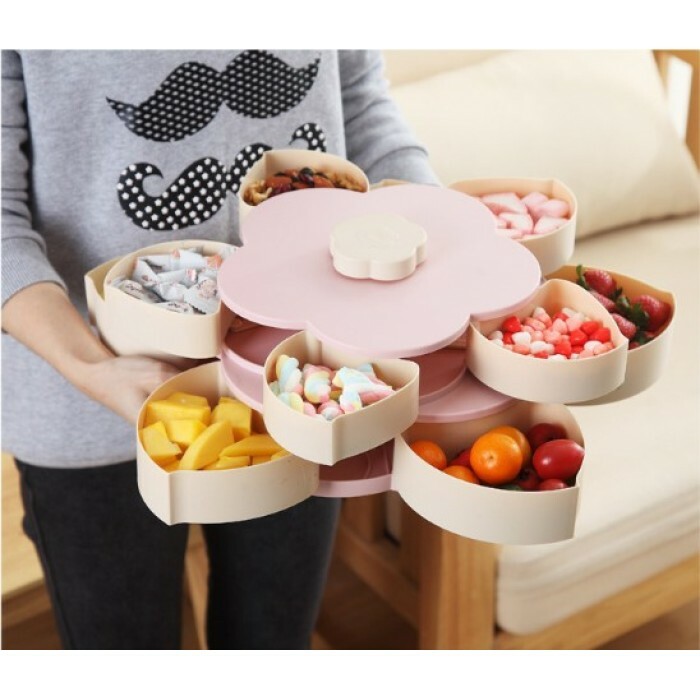 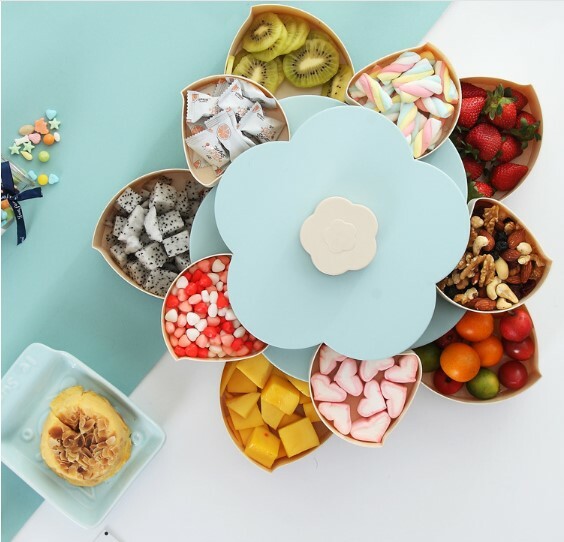 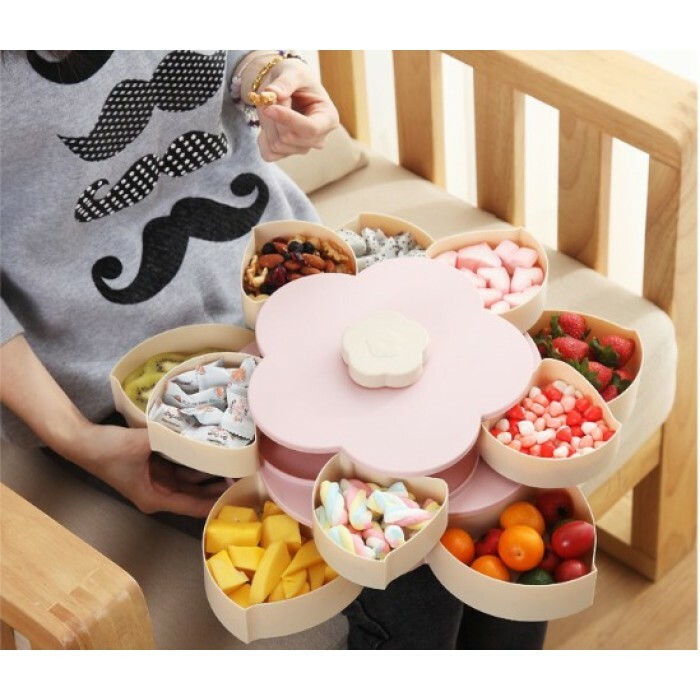 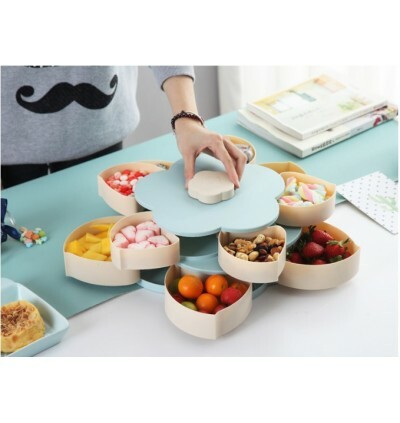 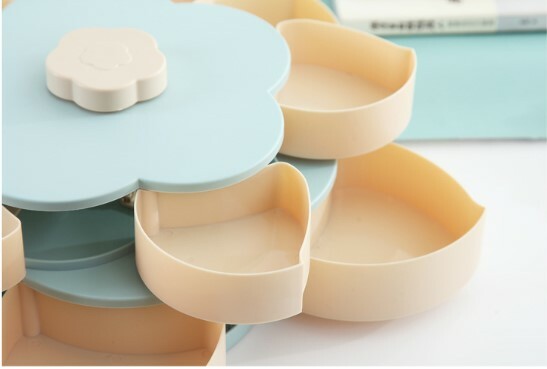 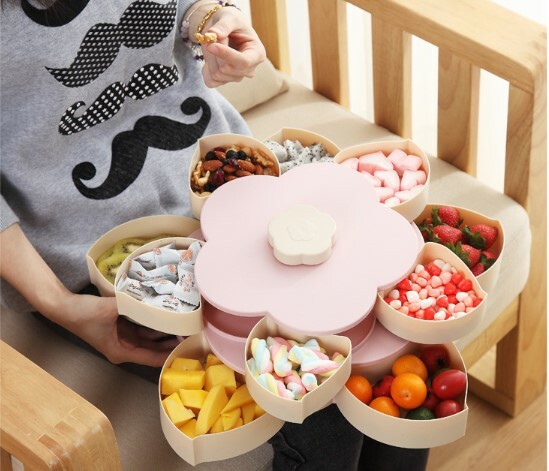 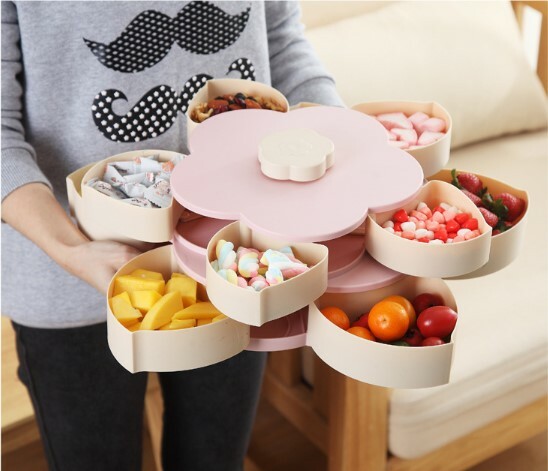 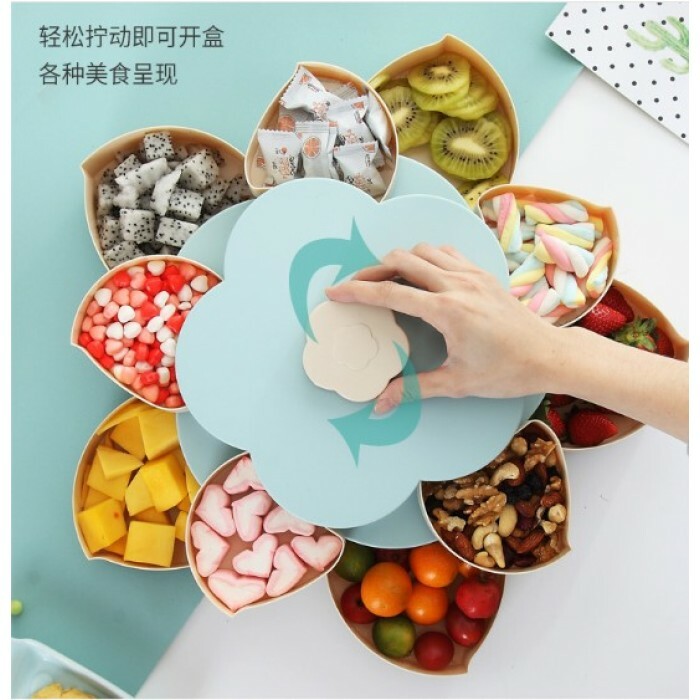 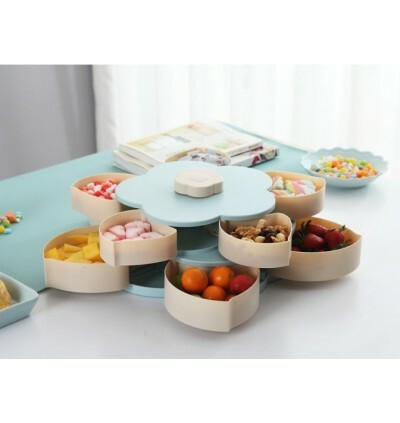 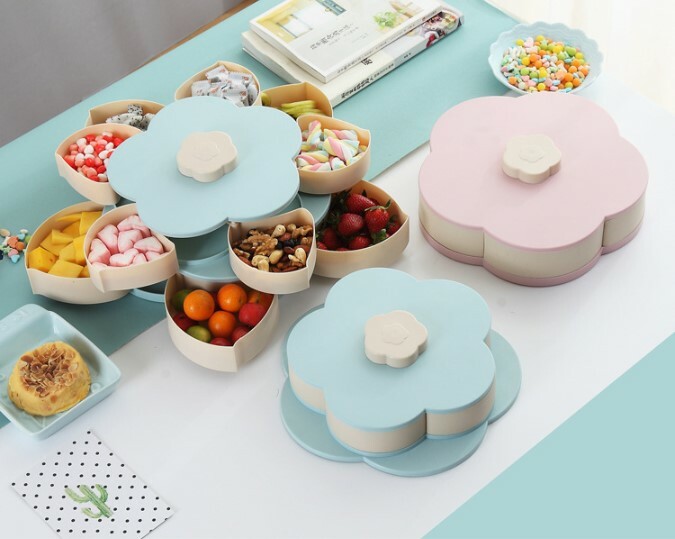 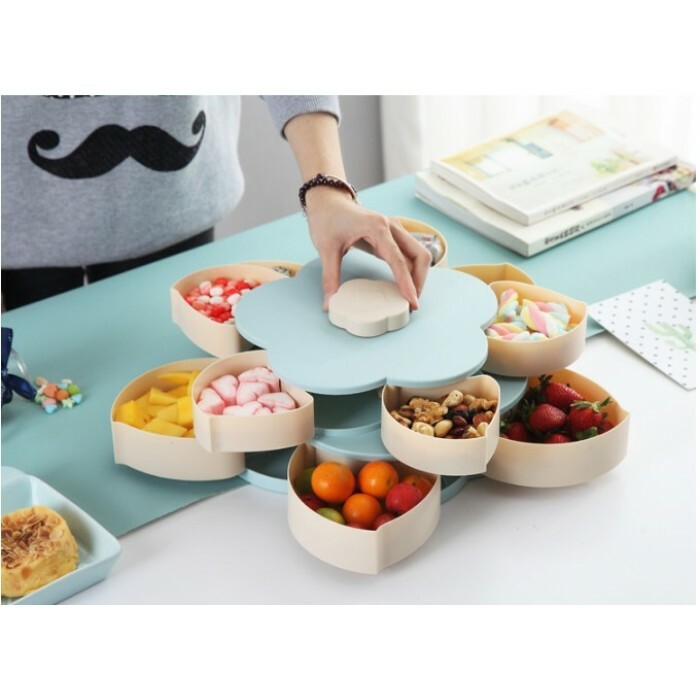 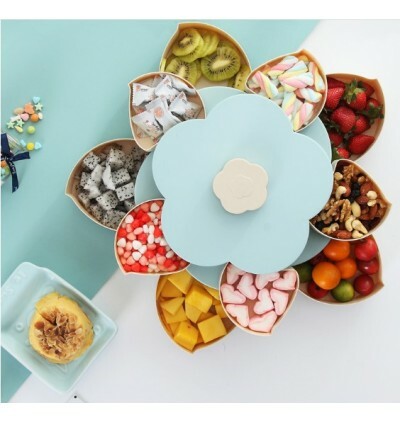 Rotate to open candy plate, creative and practical. 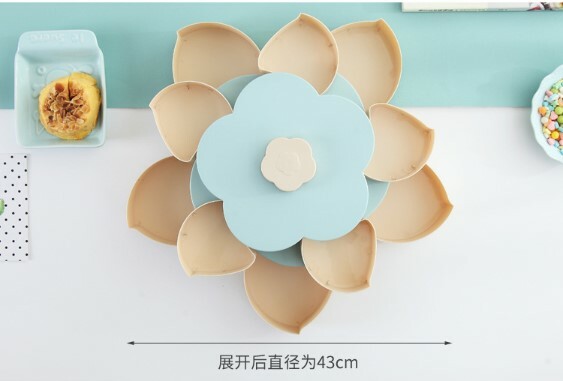 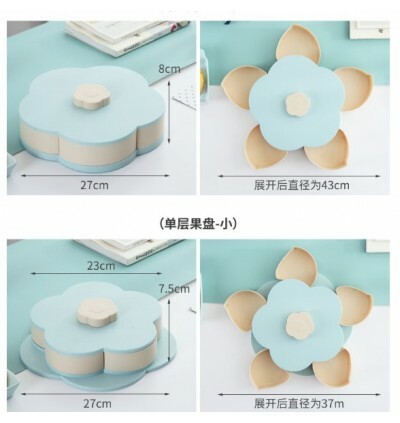 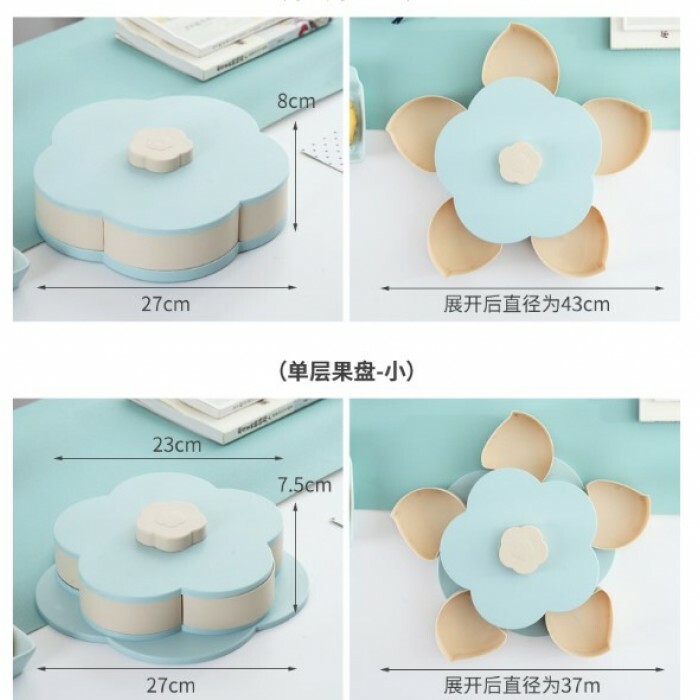 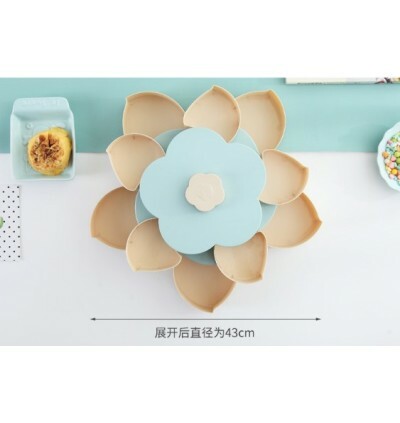 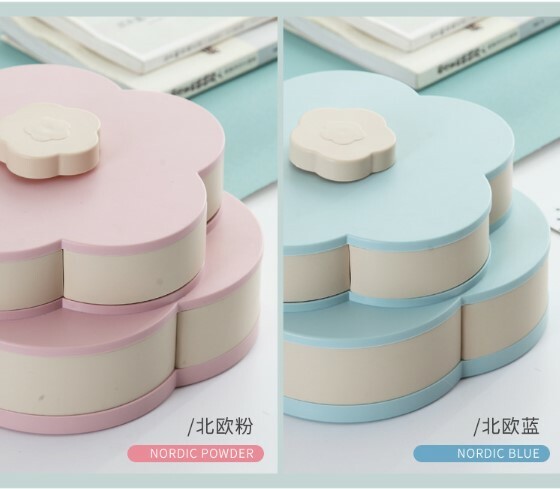 Floral shape appearance design, fashion and beautiful. 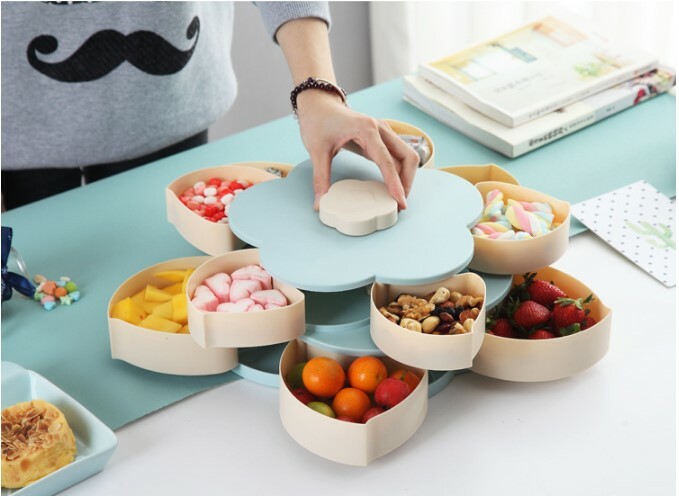 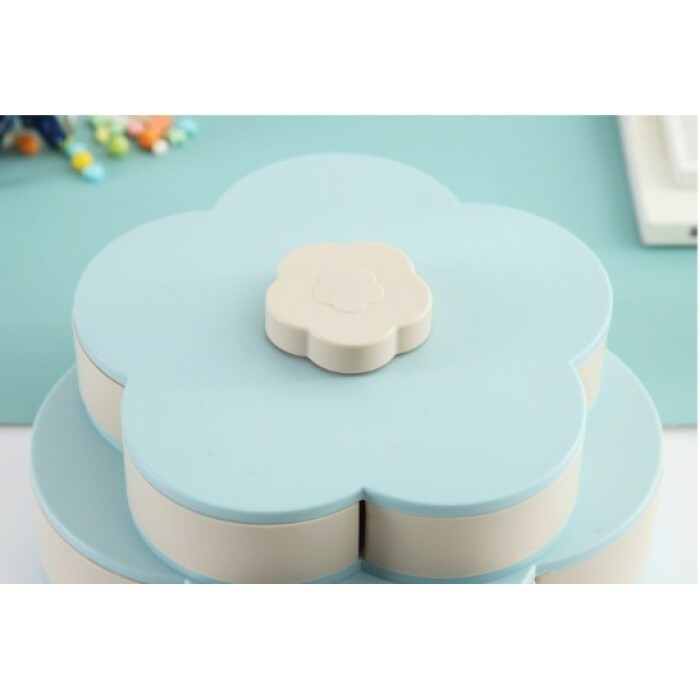 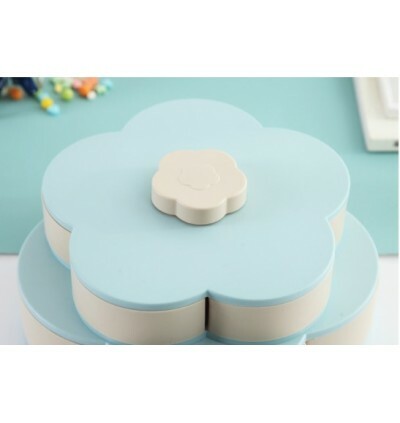 Perfect for serving pistachio, sunflower seeds, peanuts, edamame and other nuts and fruits. 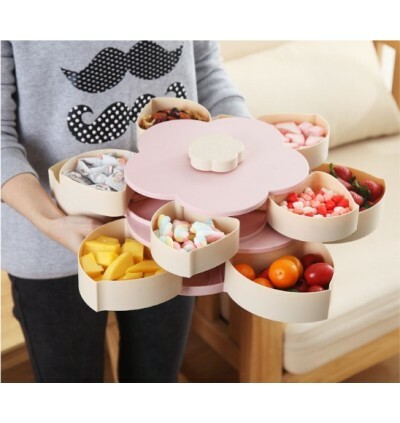 A helpful tool to storage dried fruit and candy.